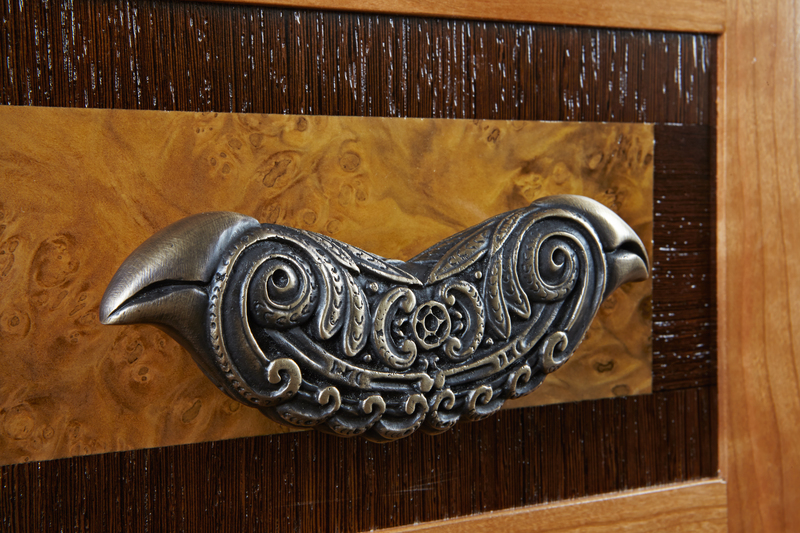 When Debbie Zylstra of Zylstra Interior Design Inc. in Kona, Hawaii approached us about designing custom hardware for a project in Hawaii we jumped at the chance to celebrate and honor the culture of Hawaii and other Polynesian Islands. As a result of this collaboration our Hawaiian Series of bespoke door and drawer hardware was born; all reflecting our keen respect for these native inhabitants. Pieces in this new collection range from very grand stylized iguana pulls to beautiful and elegant orchid pulls as well as a very unique stylized representation of the Laysan Finch, named for its home habitat, the northern Hawaiian island, Laysan Island. Yes, there is more to Hawaii than the four popular vacation destinations we are all familiar with. 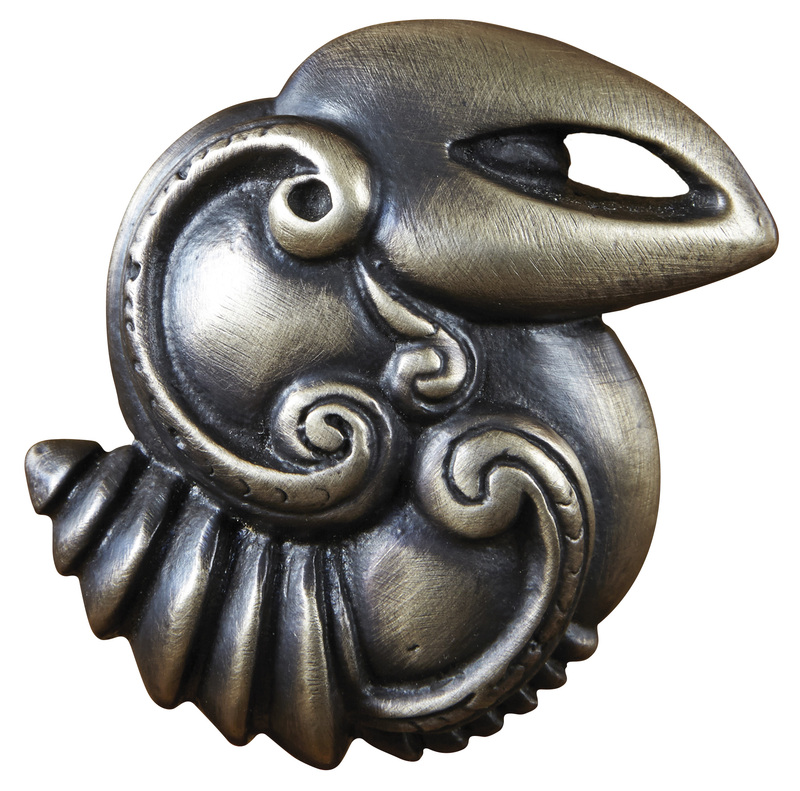 This Hawaiian bird pull, along with a two-headed companion piece, are cast in solid bronze using the lost wax method. As we have mentioned before on this blog, the lost wax method allows us to capture great detail in the casting process. You can view all of the pieces from our new Hawaiian Collection as well as the rest of our custom hardware collection at www.martinpierce.com. This entry was posted in Uncategorized and tagged custom hardware, hawaiian designs, hawaiian hardware, hawaiian hardware design. Bookmark the permalink.